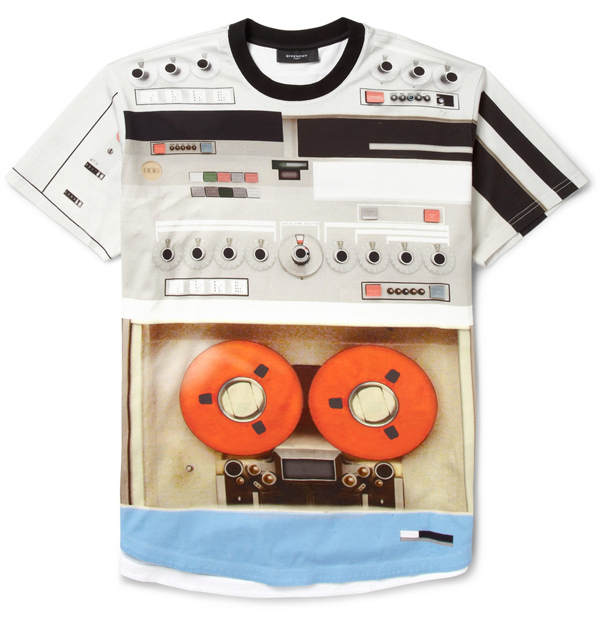 Givenchy continues its trend of ever under-stated tshirts with a representation of wearable analog. The oversized crewneck tshirt comes printed with the design of a vintage reel-to-reel deck, just to prove you know what a Neve 8078 is. Created by Italian designer, noted musicologist and Givenchy Creative Director Ricardo Tisci, you can get yours at Mr. Porter for only $955 (€690).